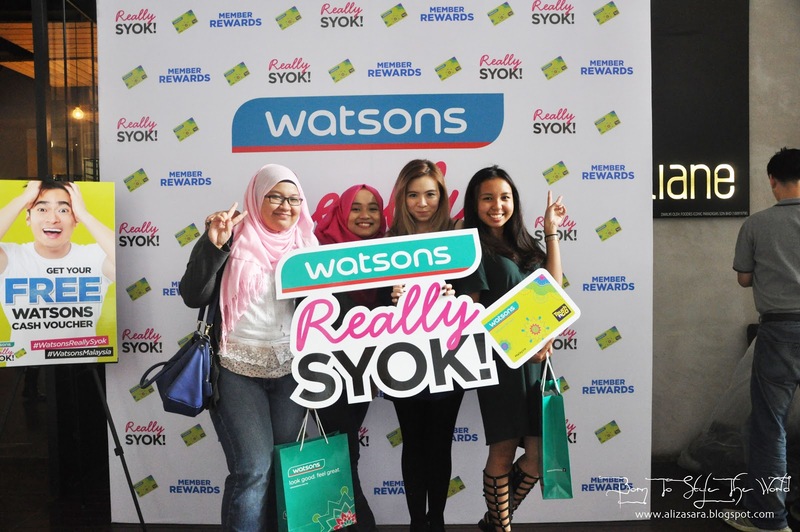 Speaking of the rewards, currently their Watson Really Syok campaign is going on which you can get amazing benefits with your Watson VIP card. For once you can redeem your rewards based on the points you have and it is redeemable at ALL Watson outlets nationwide. Actually for 500 points you can redeem MTV World Stage pass but because of my mistake I forgot to publish this post earlier. *I apologize for my clumsiness* But no worries as the points redemption is still going on until the 28th September 2015 so you can still get another reward. There is another thing that is still going on which is the member sale! Watson is offering a fantastic 50% discount with more than 500 differents products to choose from; so you should take the chance. I am definitely going to stock up on some stuffs and even have a list prepared :) If you're looking for more information, you can visit Watson Facebook Page or the website www.watsons.com.my/reallysyok.